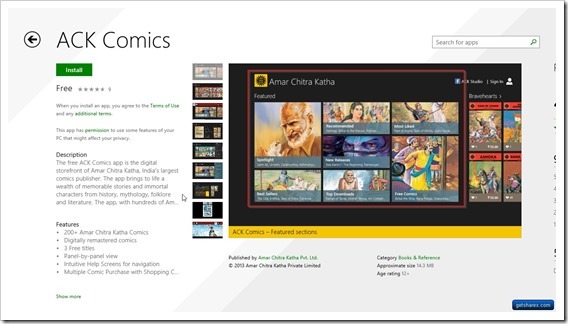 During Mumbai Comic Con event in Mumbai, Microsoft announced the launch of Amar Chitra Katha Comic App, which will offer comics created by Amar Chitra Katha is an easy to read, downloadable format. Currently, there are more than 200 titles to choose from in this app, and the numbers will increase as they upload more titles. This app can be directly downloaded from here. To make readability easier, the creators of this application have digitally mastered old titles for enhanced reading experience. Panel-by-panel view mode has also been incorporated which will ease up the reading process in smaller devices as well. The application has been targeted specifically for children who love comics and animated series. With the advent of multimedia and games, our younger generation has almost forgotten reading our iconic characters and super-heroes; and this app is aiming to change this habit. By downloading and using this app, they can encounter Indian mythologies, stories, characters and super-heroes which are otherwise not available on major cartoon networks and internet memes. As a good gesture, the app makers have categorically stated that there would be no advertisements being served on the app, children would be the main target audience of this app. Additionally, to dispel privacy issues, the app will collect no personal information of the user. The application will be free for one month and will come with 5 comics free of cost to all Windows 8 mobile users. The free comics which would come pre-bundled on this app are: Shakuntala, Birbal the Wise, Tirupati, Tenzing Norgay and Anant Pai. 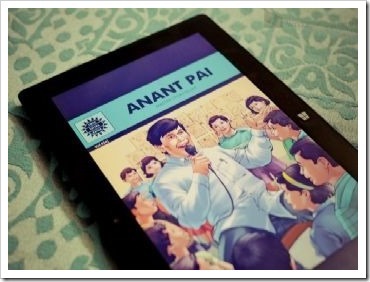 After this first month, each comic would be available for Rs 55 per download, and once purchased, the comic would be accessible across all Windows 8 platform including desktop, laptop, tablet and cloud access using one single user account. This application has been developed by Ninestars’ App 9 Digital Studio. 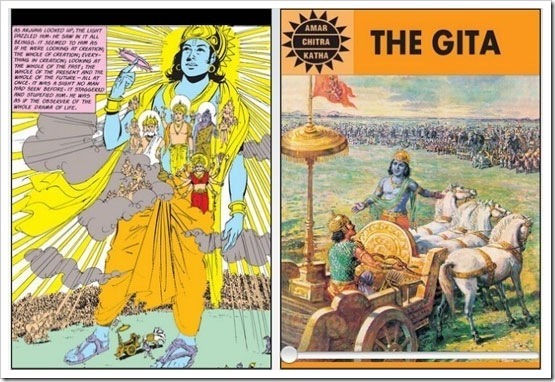 Amar Chitra Katha was founded in 1967 by Anant Pai, and was published by India Book House. It is India’s one of the largest comic book publisher, as they have sold more than 90,00,000 copies across 20 countries. Their catalog boasts of more than 400 titles, covering niches such as mythology, history, folklore, fables and Indian epic stories. In 2007, all the existing titles were acquired by ACK Media. The origin of Amar Chitra Katha has an interesting story. In the year 1967, Anant Pai was watching a Quiz program on Doordarshan. He was shocked to see that children were able to answer all questions related with Greek and Roman mythology, but were completely unaware of Indian mythologies and religious stories. One kid was not able to answer, “Who was Lord Ram’s mother”. This agonized Pai so much that the very same day he decided to launch Indian comic series, targeting Indian mythology and religious tales. In short, it was an attempt to save Indian culture and tradition via means of comic book series. Amar Chitra Katha become so popular in the 80s, that the comics were translated to almost Indian languages including Bengali, Marathi, Assamese, Gujarati, Punjabi, Sanskrit, Telugu, Tamil and Urdu and did an impressive 5,00,000 copies sale a month all over India. Some of the most popular titles were also translated into foreign languages such as French, Spanish, German, Swahili, Fijian, Indonesian, and Serbo-Croat as they found an overseas audience interested in Indian mythology.